The 23-year-old Australian, Nick Kyrgios is through to the third round at the Miami Open 2019 after he defeated the qualifier Alexander Bublik in the second round of the tournament. 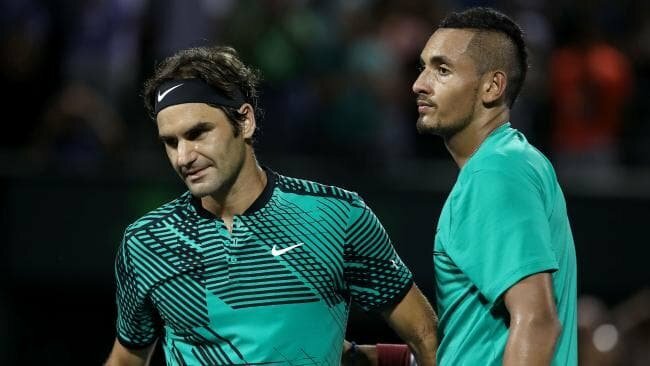 In a recent interview which Daily Mail, Nick Kyrgios revealed about the exalted hype regarding the ‘Big Three’ of tennis. 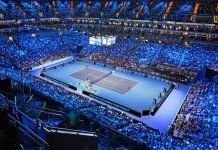 Against the trio of tennis, Roger Federer, Rafael Nadal and Novak Djokovic, the Australian lad holds a head-to-head record of 1-3, 3-3, 2-0 respectively. On the court, he is actions are whimsically uncertain and swift also the World Number 33, Nick Kyrgios possess a repository of versatile shots. He revealed his personal evaluations regarding the holy trinity of tennis and rationally backed his opinion. Unlike the other budding ATP men, the Canberra lad doesn’t perceive it to be a moment of pride to share the court with the legendary tennis triune. 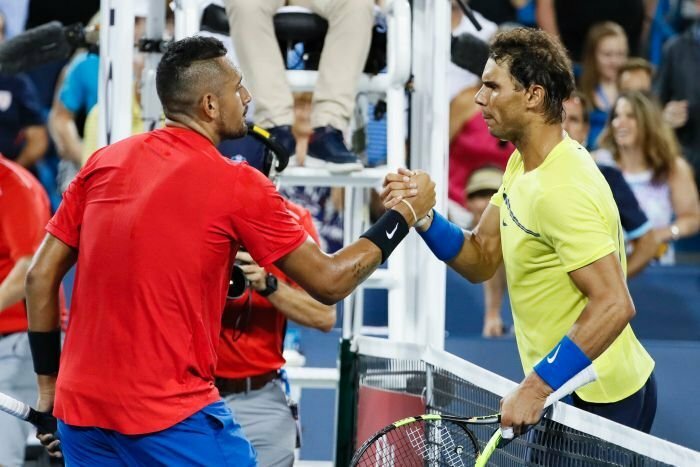 “I don’t know how much respect the others show them but I’m not going to really respect someone just because they can hit a ball over the net, that’s not enough for me to give them respect,” mentioned Nick Kyrgios. “Why would I give them an inch? They’ve already got the advantage with always playing on the best courts in the best conditions, all that sort of stuff, so I don’t know why you would give them inches.” Last month, the Australian claimed a win over Rafael Nadal in Acapulco it was considered to be the uncanniest victory in the history of tennis and the match was accompanied with an underarm serve to Nadal and it happened to gather a lot of attention. “I hit it (the underarm serve) and people say ‘he’s being disrespectful’, but when other people do it they’d be saying ‘very technically switched on’. When I did it, it’s like the roof is falling in. I’m never going to hit one again because I got scorched for it… I’m kidding – I’m hitting it again for sure, I was thinking about it all day today,” Nick Kyrgios shared. Recently, at Miami Open 2019 Nick Kyrgios teamed up with Taylor Fritz for a match against Guido Pella and Joao Sousa. 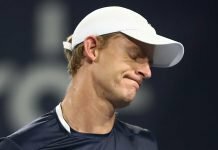 The Australian-American duo conceded a three-set defeat and the Canberra product displayed an atrocious behaviour with an obscenity-laden tirade at the chair umpire due to the line calls which were made. Later, he also rammed his racquet on the court. Next articleIPL 2019: Can the Kings XI Punjab Triumph this Year?